As the digital landscape continues to evolve, many brands are looking to bloggers a primary group of influencers to engage with. You rarely hear of a brand that doesn’t include blogger engagement in PR and marketing strategies each year. In fact, most brands even have dedicated teams to manage blogger relations. Blogger engagement used to be as simple as sponsored reviews, or posts on social media, but those times have truly changed. Consumers have become so savvy that both brands and bloggers are challenged with creating new ways to collaborate effectively. The most popular and successful engagement usually comes through branded experiences. Think relationships, not transactions. Look at every point of interaction as an opportunity to build on your relationships. Check in with brand contacts regularly. Find out what they’re working on, or what’s coming up that you can potentially be a part of. Be authentic. As a respected influencer, you want to make sure you’re developing partnerships with brands that your audiences can relate to. Look at brands that you genuinely like, and create or seek opportunities to collaborate. There’s power in your pitch. Don’t be afraid to pitch an awesome idea. You’ll either get a yes or a no, and most no’s can become yes’s at the right time. Brand goals are your goals. When working with a brand, understand their objectives and make them your own. Brands are more likely to work with influencers who can deliver results that align with their bottom line. 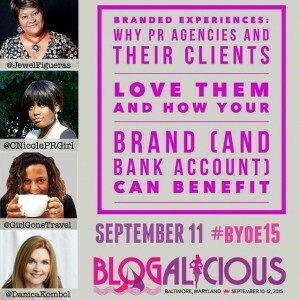 Blogalicious is an annual conference for multicultural bloggers and social influencers. The theme for this year was Building Your Own Empire. 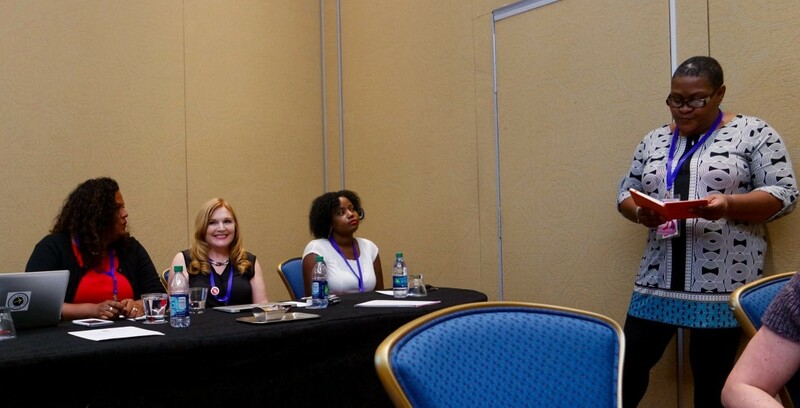 Our session was one of many that empowered bloggers with tips and resources to help them turn their own brands into personal empires. C. Nicole Pierce is a senior account executive at FCG.